Fan Forum > TV Shows - Past > Girl Meets World > Jack Hunter/Matthew Lawrence #2: Because we wished he had been at Shawn's wedding. 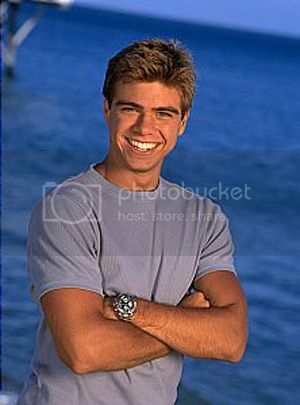 Jack Hunter/Matthew Lawrence #2: Because we wished he had been at Shawn's wedding. Thanks for the thread! If you ever wanted to try your hand at his new OP... Or we could partner up Use your skills to find us pretties! ^ Challenge accepted! This is going to be so much fun! I'm thinking we can partner up unless you have a lot on your plate. How many OPs are you working on right now anyway? Matthew looks just like one of my high school classmates. You can probably guess that I developed a huge crush on him. I'm sorry. I lost my train of thought. ^ You're welcome. It was my first Girl Meets World thread that I opened. How perfect that it is for one of my teen crushes. So I see that you've claimed two threads. That doesn't seem like a lot but you do have two boards to mod, plus work/life, so I don't know if you'd want to tag-team with me on this thread. How about this? I'm going to slowly start hunting for pretties. Once I have a rough idea of which pictures, gifs and/or videos I think would brighten up the OP, would you mind if I bounce ideas off of you? Well I said in there that people shouldn't claim more than two threads at a time so I'm leading by example or else I would have claimed plenty more Of course I want to tag team with you! Bounce all the ideas! I can't wait to see what you guys come up with!! I know it will be beautiful! ^ Thanks for the encouragement, Michelle. I'll do my best to make this OP shine. I got it. I'll drop by the OP Beautification thread to officially claim this thread. You can expect some PMs from me once I come across some graphics. I will await them anxiously! ^ Me too! I'm hoping for the Shawn/Jack scene that I've wanted since Jack's first ( and only ) appearance. I am dying to know what they'll be like now. They should appear in your inbox within the next two weeks. Keep an eye out.